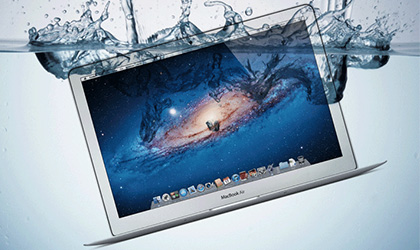 No matter what your issue may be with your broken or malfunctioning device, MACPC NYC can help. Most individuals store both social data and work data in one place typically on a home computer. Fixing your MAc or PC in time is critical. Call us today. Get to the root of the problems plaguing your computer. After testing all the software and hardware on your computer, the technician will diagnose and explain any problems associated with your Mac or PC. follow-up and an estimate for repair will be provided so you can make an informed decision regarding next steps. We handle Internet Connect problems, Virus or spyware removal, Fan making loud unusual noises Computer will not start (Power Supply Dead), Motherboard replacement and repairs, Computer Won't boot to windows desktop or Mac Login Screen, Blue screen of Death. We can install or help you get the latest version of the software you need. We can handle the mobile device battery replacement, Screen Display replacement Sound & Speaker repair, Power button repair, water damage repair and more. When the computer system is not working at all, or it has a serious malfunction, we will perform complex software and hardware troubleshooting on a defective computer in an attempt to restore. Results and remedies may vary depending on the level of damge or dysfunction. When the computer is not working the way it should, when it starts up slow, or when it is experiencing occasional lock-ups, we will inspect the Mac or PC. eliminate the glitch, and restore it to the original performance level. Results and remedies may vary depending on the level of damge or dysfunction. We will inspect the PC, eliminate spyware and viruses, and restore computer to the original performance level. We can help you retrieve loss data such as images, folders, music, word docs, PSDs and more. Results may vary depending on how long ago data was deleted or damaged and what transpired.